Home » EUR » Euro to US Dollar Exchange Rate Forecast: Will ECB Accounts Boost EUR/USD Trading? Euro to US Dollar Exchange Rate Forecast: Will ECB Accounts Boost EUR/USD Trading? in EUR, EUR to USD, USD. 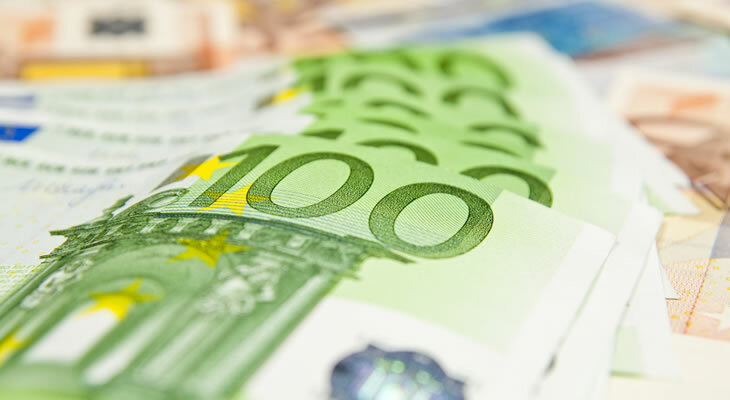 The Euro (EUR) has traded in a narrow range against the US Dollar (USD) today, with a lack of resolution to the Italian budget crisis leaving the EUR/USD exchange rate tight. EUR/USD trading remains near a 2018 low due to reduced Euro trader confidence, but the single currency might be able to recover on Thursday’s Eurozone data. The European Central Bank (ECB) will be releasing its accounts from the latest monetary policy meeting, which could be enough to boost Euro demand. EUR traders will be looking for any signs that an ECB interest rate hike is likely in 2019; the accounts could show if policymakers back such a course of action. Any mention of tightening monetary policy in 2019 could be interpreted as support for a future interest rate hike, which might ensure EUR/USD interest rate gains. US Dollar to Euro Exchange Rate Outlook: Will USD/EUR Gains Come from Fed Speeches? For US Dollar (USD) traders, the next news that could cause a rise against the Euro (EUR) will be today’s speeches from Federal Reserve policymakers. Fed officials Charles Evans and Raphael Bostic are both due to give remarks and could affect demand for the US Dollar with their comments. Only Mr Bostic is a voting on Fed interest rate decisions this year, but both men are seen as ‘dovish’ policymakers, so they may not support future interest rate hikes. As it currently stands, economists are predicting another interest rate hike this year followed by three to four rate hikes in 2019. The best-case scenario for USD traders will be if both policymakers back more interest rate hikes in 2019, which could cause a sharp USD/EUR exchange rate rise. If both speakers are more cautious about future Fed interest rate decisions, however, then the US Dollar could fall against the Euro during today’s trading session. Is USD/EUR Exchange Rate Volatility ahead on US Inflation Rate Data? Beyond today’s Fed speeches, the next major data that could affect the USD/EUR exchange rate will Thursday’s inflation rate figures for September. An acceleration in core inflation rates is anticipated, although for the base figure a year-on-year slowdown has been forecast. Monthly base inflation isn’t expected to shift from 0.2%, so the year-on-year readings could have a greater impact on US Dollar demand. Despite forecasts for a base annual slowdown from 2.7% to 2.4%, the US Dollar could still appreciate because this would leave inflation above the Fed’s 2% target. Above-target inflation puts more pressure on the Fed to raise interest rates, so a USD/EUR exchange rate rise could occur provided that inflation prints above 2%. If inflation unexpectedly slows across the board, however, then the US Dollar could tumble over fears of fewer interest rate hikes in the year ahead.